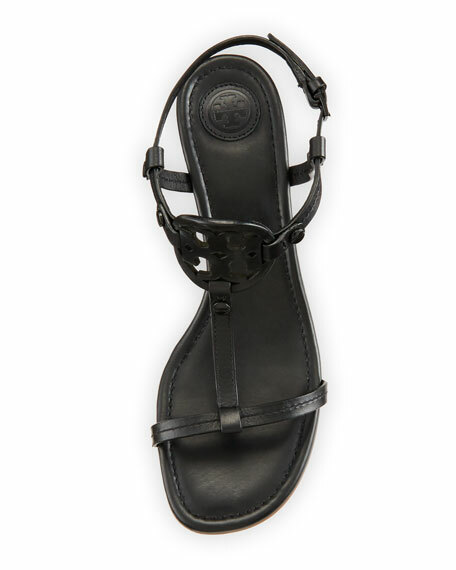 Tory Burch napa leather sandal. T-strap vamp with laser-cut logo. "Miller" is made in Brazil.